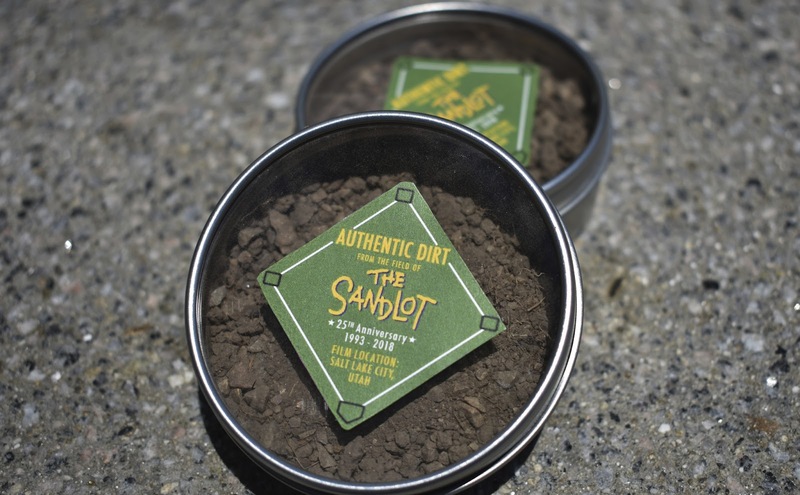 Celebrating the 25th anniversary of the beloved classic, The Sandlot, Fox Consumer Products is releasing limited-edition collectible capsules for fans from Shop.FoxMovies! Packed with dirt from the epic baseball field featured in The Sandlot, the capsules, which honor the spirit of the film and the game of baseball, will be offered for free with a purchase from Shop.FoxMovies' exclusive line of Sandlot merchandise, while supplies last. LOS ANGELES, July 17, 2018 – For years, sports collectors have had the opportunity to own mementos from the nation’s most cherished baseball fields, including Old Yankee Stadium, Wrigley Field, Fenway Park and more. In celebration of the 25th anniversary of hit classic, The Sandlot, Shop.FoxMovies is offering fans limited-edition collector’s capsules packed with dirt from the field that hosted Ham’s epic home run, Smalls’ lost baseball signed by Babe Ruth, and The Beast, the unforgettable threat that taunted fans’ favorite kids. To showcase its authenticity, each capsule features an individually-numbered hologram seal. Shop.FoxMovies will offer these limited collectibles free with the purchase of any Sandlot merchandise from its exclusive line of apparel, home goods, stationary and Funko Pop! Figures, while supplies last. Though set in Los Angeles’ San Fernando Valley, scenes on the famous baseball diamond of The Sandlot were filmed in Salt Lake City, Utah. 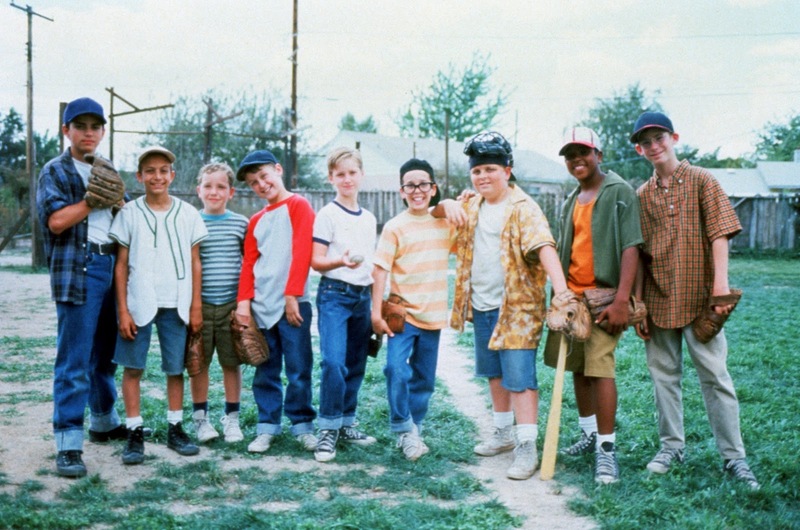 Next month, Salt Lake City’s local community of Glendale will continue The Sandlot anniversary celebration by hosting a little league clinic in partnership with The Salt Lake Bees baseball team on August 10th and an evening screening of the film on the iconic field on August 11th, featuring special cast appearances. For more information about this event, please visit their event page. The Roosevelts (RSVLTS) – A recently launched The Sandlot x RSVLTS Collection includes the brand’s signature button down shirts, which have been featured everywhere from ESPN to Good Morning America. New Era - Launched earlier this month, the New Era and Fox Consumer Products collaboration includes a hat line featuring iconic moments from The Sandlot, customized for local Major League Baseball teams. Plus, Fox Consumer Products has teamed with Major League Baseball and Fanatics for Sandlot apparel and jerseys as well as with Tervis for a collection of film-themed drinkware. In this beloved family-favorite movie, directed by David M. Evans, it’s the early 1960s and fifth-grader Scotty Smalls (Tom Guiry) has just moved into town with his folks (Karen Allen and Denis Leary). Kids call him a dork — he can’t even throw a baseball! 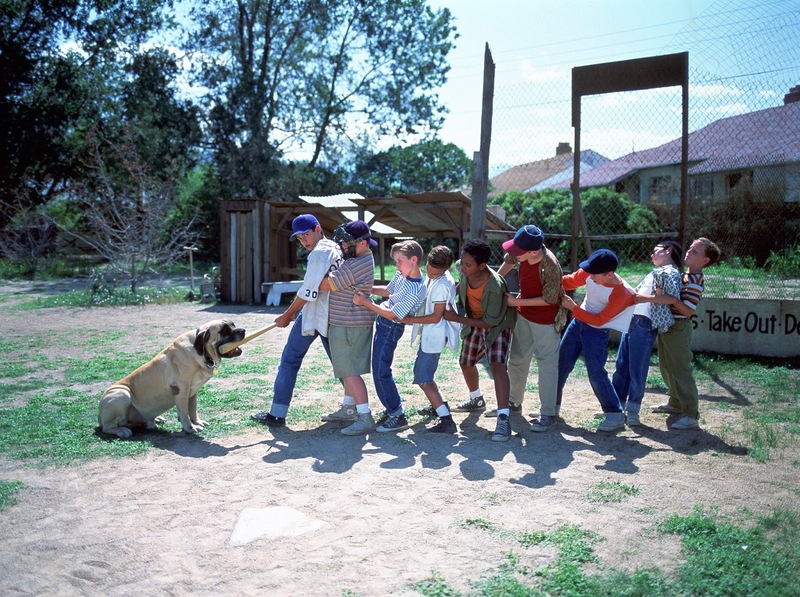 But that changes when the leader of the neighborhood team recruits him to play on the nearby sandlot field. It’s the beginning of a magical summer of baseball, wild adventures, first kisses and fearsome confrontations with the dreaded beast and its owner (James Earl Jones) who live behind the left field fence. Soon, nine boys have become best friends, Scotty is part of a team, and their leader has become a local legend in this hilarious and warm-hearted comedy. Critical acclaim for the movie focused on its charm and nostalgia, the film has become an often-quoted cult hit. THE SANDLOT ranks in the Top 10 Best Baseball Movies of all-time by critics, sport fans and movie-lovers, including: IMDb; Sporting News; Baseball America; Maxim; Bleacher Report; SportsNation/ESPN and others.